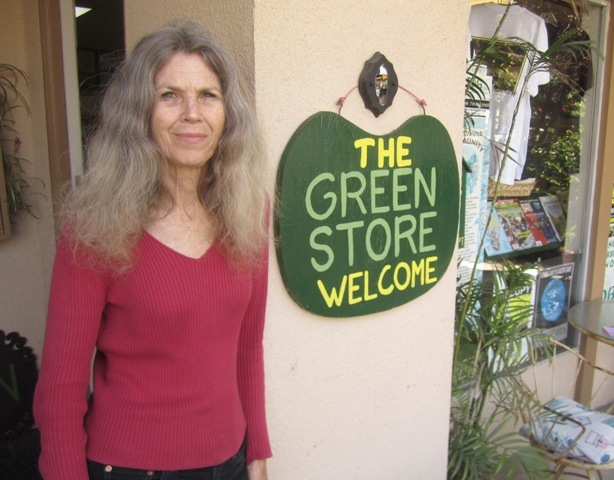 Everybody knows Colleen – the woman who runs OB’s Green Store. She’s been running it for 24 years here in Ocean Beach – along with her volunteers, of course. But this is the person who is responsible for its day-to-day operation and maintenance. So, we all know Colleen, but how many of us know her personal background? I didn’t – so, I sat down with her the other day at a small, round table outside the shop on Voltaire and began peppering her with questions. Colleen Patricia Word (now Dietzel) was born in March 1950 in Palmdale, California, to Genevieve and Albert Word. She was the middle child in a family with five kids. She has two older sisters, one still lives near Palmdale, while the other is near Sacramento, and she has two younger brothers, twins, with one of them also living around Palmdale, and the other lives in San Diego. Both of her parents were from Los Angeles. 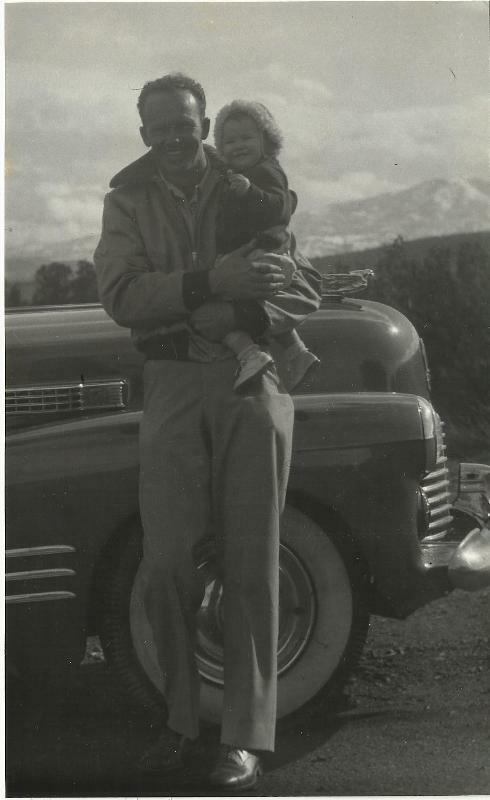 Her dad, Albert, was an aircraft mechanic and carpenter, and worked for Northrop in Palmdale and Lancaster. He had been drafted into the Army late during World War II and never saw combat. He had learned carpentry skills over the years and the giant aircraft manufacturer hired him to make wood mock-ups of the planes they were building. Genevieve was an RN and worked hospitals in LA. They lived up in Palmdale because one of Albert’s clients who he did carpentry for, paid him with 2 and a half acres in Palmdale. The family ended up getting 40 acres, and had two houses built – but the Antelope Valley freeway came in and disrupted their rural lifestyles. 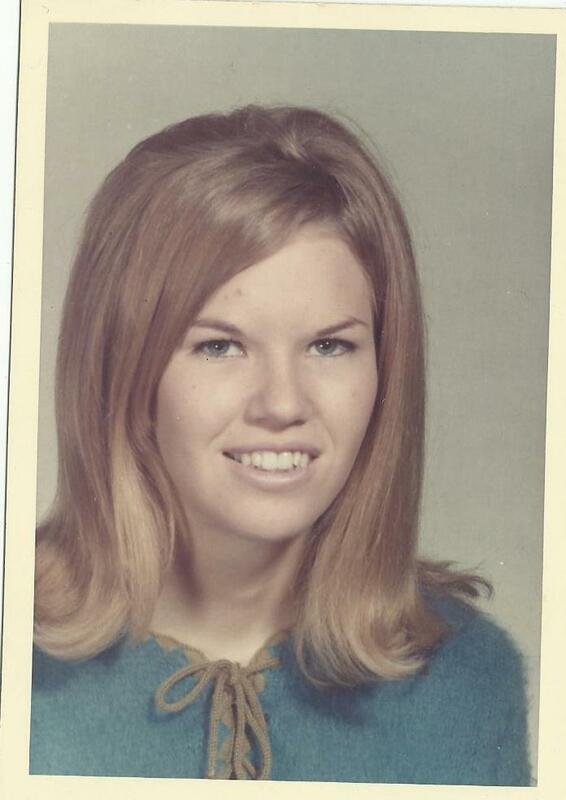 High school photo of Colleen. Colleen went to Palmdale High School where she received good grades and then attended a junior college in the area. At the age of 22, she and Richard Dietzel got married. He was a mechanic and ran a shop in town. But their stay in Palmdale came to an abrupt end, after Richard’s shop was robbed of everything and they were threatened by a local biker gang. “It was a nightmare,” Colleen summarized. They had to get out of dodge immediately. Palmdale’s loss would eventually become OB’s gain. Colleen and Richard moved to San Diego in 1974, as he had a sister who lived here. At first, the couple moved to Lakeside and then to North Park. She began volunteering at a horse ranch in El Cajon. “Horses?” I asked with a quizzical look on my face. “We had 2 horses – as a kid,” she explained, “as we had a lot of land. We lived out in the country.” Did all her siblings get into horses? Richard got a job working as a car salesman and worked for a woman who offered them a Spanish style house to live in on Del Monte Avenue. They took her offer – and Colleen ended up living in the place for 22 years. She and Richard broke up in 1977. It had taken her 6 years of college to finally settle down into the degree she obtained. Colleen worked for a vet for a total of 12 years – with six of them full time. She loves animals. When her dad passed away in 1981, she returned to Palmdale and ran his aviation memorabilia shop for eight months, selling it to a museum finally. 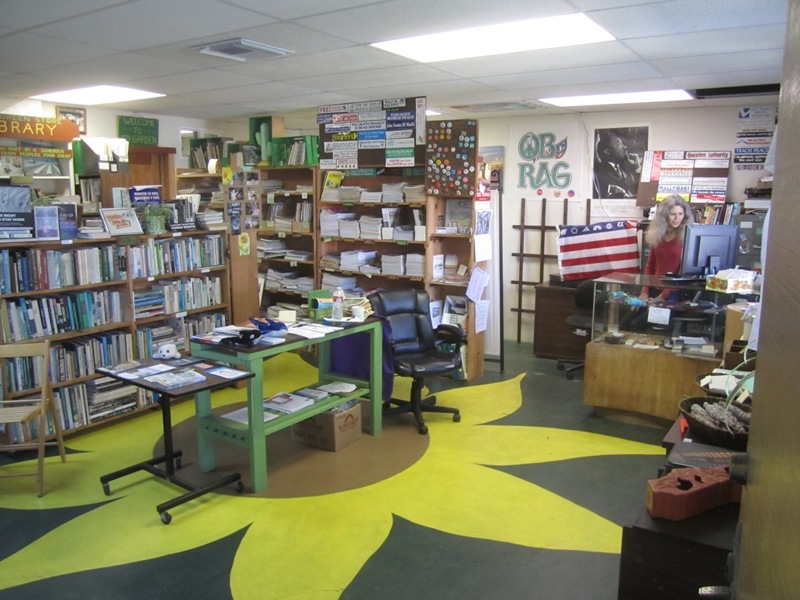 The Green Store / Center moved into its present location in 2012. The OB Rag also has an office inside the center. In 1981 Colleen met Rich James – one of the well-known James brothers – originators of the James Gang business. Rich and Colleen hit it off and stayed together for about 6 years, living in the best house on Del Monte – the Spanish style place. “The James brothers did so much for OB,” Colleen said. I pressed her for details. Rich passed away almost exactly five years ago, on April 27, 2008. What about politics? I asked. Beginning in the 1980’s she started going to the Nevada nuclear test site. She went to rallies at Diablo Canyon – another nuclear power station up near San Luis Obispo. How did it happen, I asked? “Walked across the cattle guard and into the waiting arms of the cops. They placed those plastic cuffs on me. You’re placed in a holding pen. Trucked to the County seat, processed in. And they eventually dropped the charges. Colleen described how they met. Colleen is just to David Brower’s right in this photo from 1989. Brower is the white-haired man just about in the center. Kip Krueger is just to his left. The rest is personal history, they say. They stayed partners until about a decade ago. They still see each other every day – he lives less than a block from the Green Store, and Kip is continually helping out the store in some way. 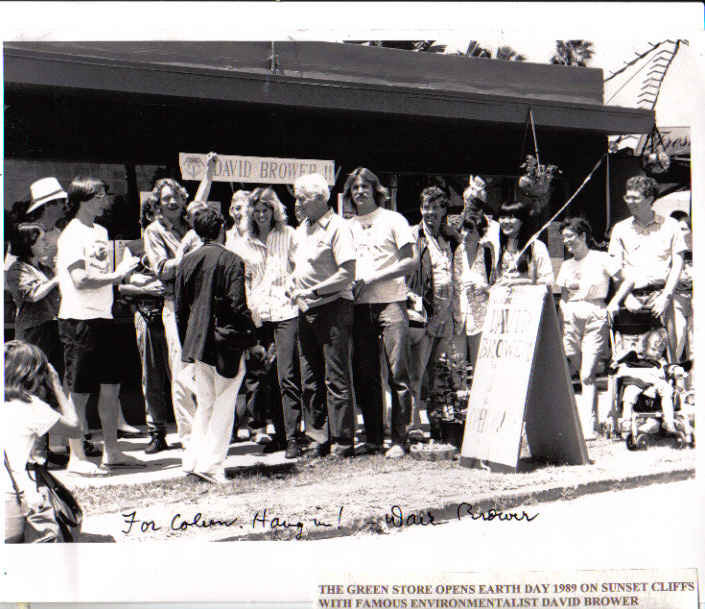 Colleen and Kip opened the original Green Store on Earth Day 1989 – in what’s now the flower stand on Sunset Cliffs Boulevard, at the corner with Lotus. She had met some Earth Firsters and others in the San Diego Green Party. “It was the first [green type of store] in Southern California,” Colleen said proudly. David Brower – then head of the influential Sierra Club – showed up for the opening. In 1994, the store moved over to a vacant store front on Voltaire Street, where it remained until just last year, when the store made its latest move into the building where it is now held, 4843 Voltaire. Today, Colleen survives and maintains the Green Store – which she has started calling “the Green Center” – on her social security, plus money she makes doing her recycling job. She collects the recyclables from a number of OB bars – including the Catalina Lounge, Cheswicks, the Harp, Raglan, Lucy’s and Pac Shores. She does this work in the morning starting out between 8 and 9 am in her trusty recycling truck. She’s been doing this now for 20 years. These days, she lives with a household of other political progressives up on the 4400 block of Brighton Avenue, where she’s been for the last 3 years. And just about every day, you can find this charming, quiet-spoken, easy-to-laugh woman inside the Green Store; it’s open Tuesday through Saturday, from noon to 6pm. She told me she puts in 30 to 50 hours a week at the store – which is really more of a library and reading room than a store. 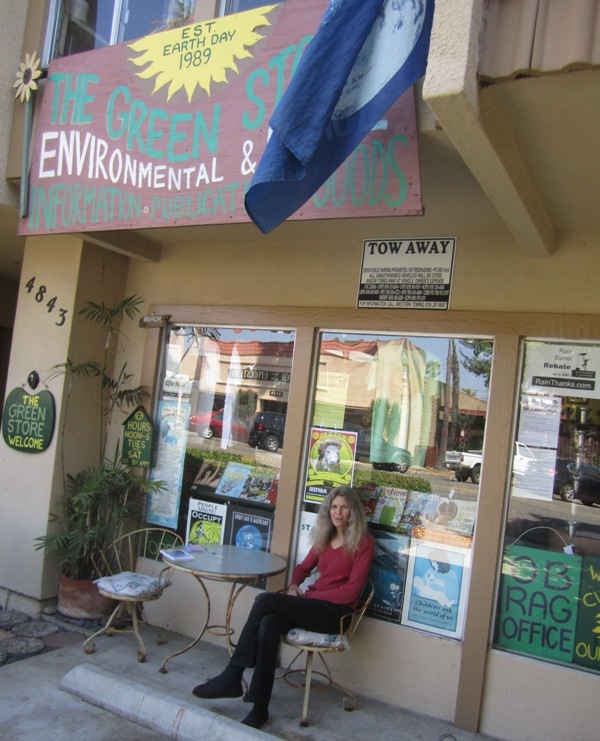 The Green Store/ Center has been the center of San Diego’s ecological awareness for two and a half decades. And the superwoman who keeps it going is still going herself. So, go by the Green place and check it out if you haven’t – and go talk to Colleen – she’s somebody who will listen. Nice article, Frank. Since we have begun having our OBRag meetings at the Green place, I have wondered about Colleen. Nice to know her background. Colleen is one of my favorite people ever. I’ve known her since she started dating my brother Rich in 81. I consider her family. I lived with her and Rich for a time on Del Monte. She really instilled in me the importance of caring for our planet and it’s citizens. The world needs more people like her. Pat, you must have been just a teenager when you lived with Colleen and Rich. Thanks Frank for the sweet article. I hope I can live up to your kind words. Thanks to Pat also. You are one of my favorite people, too. I love you and Susan and I cherish those years I spent with Rich, you and the rest of your family. I also want to thank again all my friends, family, musicians and those who have contributed to The Green Store all these years. It wouldn’t have been possible without everyone’s help. There would be no Green Store if it weren’t for Kip, so a big thanks to him and all his hard work and activism on behalf of mother earth. Colleen likes to wear socks. Newer Article: The Widder Curry Asks: When the toilet overflows, is it a “flood”?